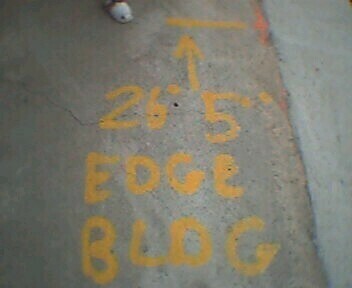 I think this writing on the sidewalk says "26' 5'' EDGE BLDG", as in how far it is from this mark on the edge of the building. But it sure looks like it says "BLOG". My daughter, however, read every individual letter (she can read letters but not words) and recognized the third letter in the last word as a "D".